Each week, Charity Navigator brings you a new Top 10 list featuring highly-rated charities working on a particular cause or issue. Today we’re highlighting a few more of the organizations that have received perfect scores… that’s right 100 points! 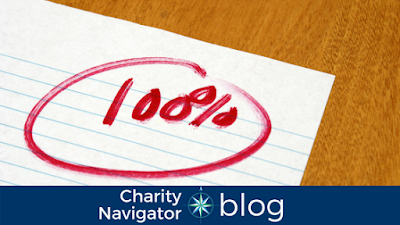 Earning a perfect score from Charity Navigator is no small feat. To do so, an organization must remain committed to upholding the highest standards for financial health and good governance, while working to achieve their mission. Additionally, you’ll notice that many of these organizations have an impact report on their rating page. While these reports are not factored in charities’ ratings, they do show that the organization is making a concerted effort to track and report on the outcomes of their work. Keep reading to learn more about a few of these exceptional charities. SEO was founded in 1963 with a mission to provide talented and motivated young people from underserved and underrepresented communities with access to superior educational and career opportunities. Today, SEO runs three programs: SEO Scholars is an eight-year academic program that gets low-income public high school students to and through college-with a 95% college graduation rate; SEO Career is the nation's premier summer internship and training program for underrepresented college students, specializing in banking, private equity, corporate leadership, law, and non-profit; SEO Alternative Investments provides education, exposure, training and mentoring opportunities to talented professionals traditionally underrepresented in the alternative investments sector. The NCCF is the single statewide community foundation serving North Carolina and has made $101 million in grants since its inception in 1988. With more than $237 million in assets, NCCF sustains 1,200 endowments established to provide long-term support of a broad range of community needs, nonprofit organizations, institutions and scholarships. The NCCF partners with 60 affiliate foundations to provide local resource allocation and community assistance in 67 counties across the state. An important component of NCCF's mission is to ensure that rural philanthropy has a voice at local, regional and national levels. Lifesong for Orphans seeks to mobilize the Church, His body, where each member can provide a unique and special service: some to adopt, some to care, some to give. A struggling business, a simple vow to further God's Kingdom, and many divine encounters. These would be used as catalysts to begin, what is now, Lifesong for Orphans. With a family culture and a heart for the world's fatherless, Lifesong for Orphans offers adoption financial assistance, foster care support, church and ministry partnerships, and international orphan care by serving advocates who help carry out this work of bringing joy and purpose to orphans. Head to the Charity Navigator website to see the full list of charities that have received perfect scores.